Are you looking for the perfect gift for your pool table enthusiast, or the ideal accessory for your billiards room? 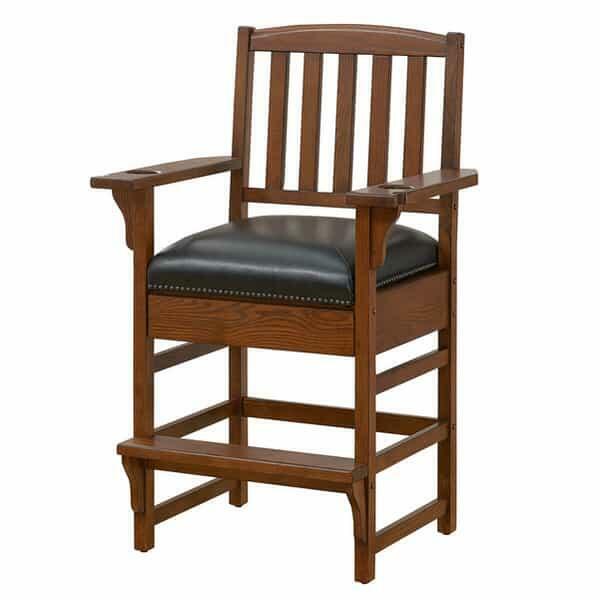 Consider the King Spectator Chair, which is truly fit for a king of billiards. 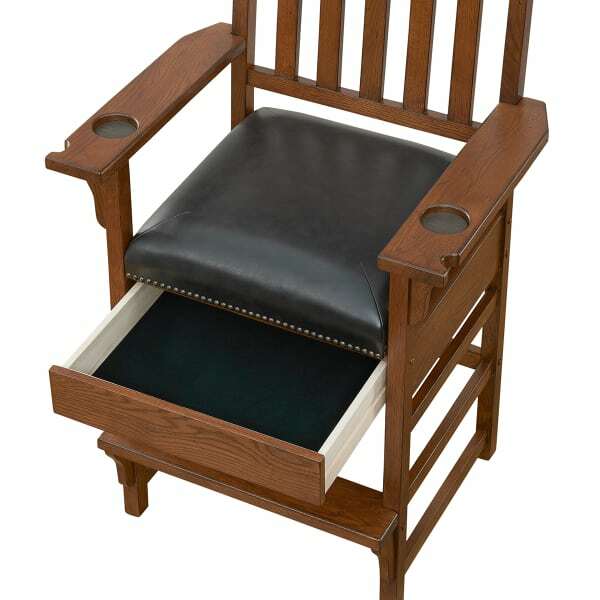 It is home to two cup holders, a cue rest, a padded, decorative seat and a hidden storage drawer. So, gaming onlookers or those waiting their turn for a shot can have a place to watch and rest with their cocktail glass and cue well taken care of. And, as spectator stools are frequently placed right next to a gaming table, the hidden storage compartment may replace the need for game table racks and side consoles.